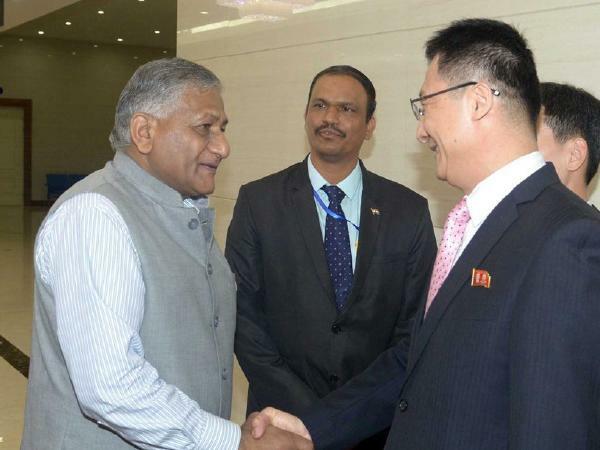 VK Singh is first Indian minister to visit North Korea in 20 years even as Pyongyang reconsiders meeting US on June 12: – General VK Singh, The Junior Minister for external affairs, on Wednesday became the first Indian minister in around 2 decades, reportedly, who is all set to visit North Korea, news agencies reported the same. Singh went to North Korea via China and his presence there arrives just ahead of a probable meeting between Kim and United States of America President Donald Trump. The Ministry of External Affairs has remained lip closed regarding the visit of the minister VK Singh, in North Korea and not much detail are available as of now regarding the same. The talks, though, are seems like keen to focus largely on bilateral ties and North Korea’s nuclear programme. Reports said Singh travelled to China and then to Pyongyang. 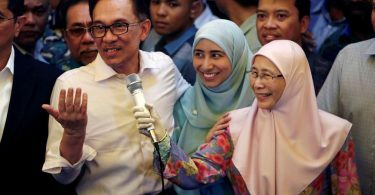 He is expected to hold talks with his North Korean counterpart but a meeting with leader Kim Jong-un is not confirmed as yet. Even as Singh visited Pyongyang, North Korea threw next month’s unparalleled summit between Kim Jong Un and U.S. The American President Donald Trump into doubt on Wednesday, threatening weeks of diplomatic progress by saying it may think again if Washington be adamant on pursuing a one-sided denuclearisation deal anyway. The North’s official KCNA news agency stated previously, Pyongyang had called off high-level talks with Seoul in the first sign of trouble this is what had been warming ties. Mention first vice minister of foreign affairs Kim Kye Gwan, KCNA later told regarding the fate of the U.S.-North Korea summit, and of the bilateral relations, “would be clear” if Washington spoke of a “Libya-style” denuclearisation for the North. “If the U.S. is trying to drive us into a corner to force our unilateral nuclear abandonment, we will no longer be interested in such dialogue and cannot but reconsider our proceeding to the DPRK-U.S. summit,” Kim Kye Gwan said, referring to the North by its official name, the Democratic People’s Republic of Korea. Kim particularly criticised U.S. national security adviser John Bolton, who has called for North Korea in order to give up its nuclear arsenal in a deal that mirrors Libya’s desertion of its weapons because of the mass destruction. North Korea beforehand clashed with Bolton when he worked under the Bush administration, addressing him “human scum” and a “bloodsucker”. “We shed light on the quality of Bolton already in the past, and we do not hide our feeling of repugnance towards him,” Kim said. The statements, combined with joint military drills by South Korean and U.S. warplanes, mark a dramatic reversal in tone from recent months when both sides embraced efforts to negotiate.